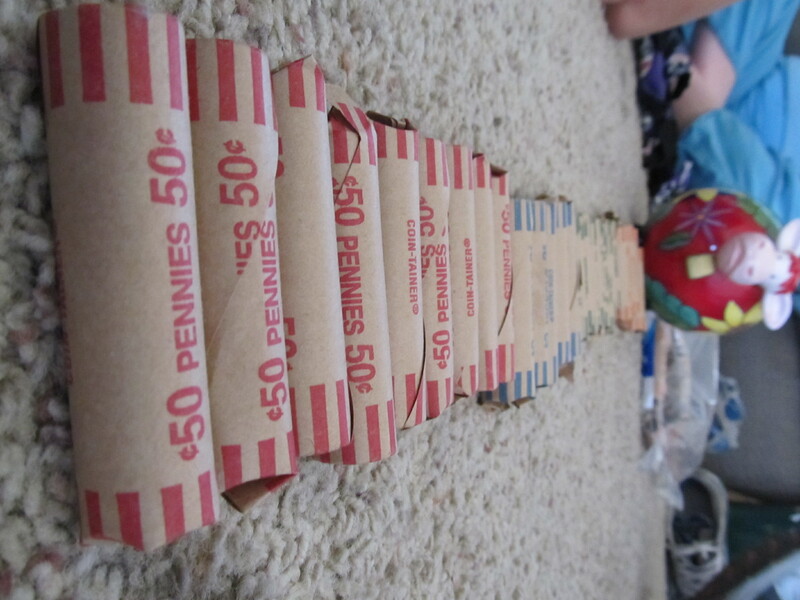 when we got to the bank, they took it out of the rolls to count it in the machine, so we pretty much just practiced counting for half an hour. We get kind of greedy this time of year- I know I do, more sweets, more stuff, more presents- I want a new yoga top, but I want to pick it myself, I’ll just wrap this for myself and put your name on the tag, I want 6 new cookie sheets before Christmas. Maybe you don’t get this way. I do. My kids feel greedy this time of year, too. Sometimes the wanting and the waiting is just overwhelming and impossible. For everybody. Our heifer bank is meant to be a cure for that- I think it helps a bit. We have a kitschy cow-shaped bank that we fill all year, and before Christmas we empty it and decide who to donate the money to. (Ooh- an 8th grader laughed at me the other day for using “whom” and I find it is getting to me- darn 8th grader.) ahem, “to whom we will donate the money.” That’s better. When we started, our charity of choice was Heifer International, (www.heifer.org ) which is why we have a cow bank, but in other years, we have done the local food bank, and this year, our local science museum, which is moving to a new building. We put change into the bank all year- money from the couch, or when I lighten up my purse. 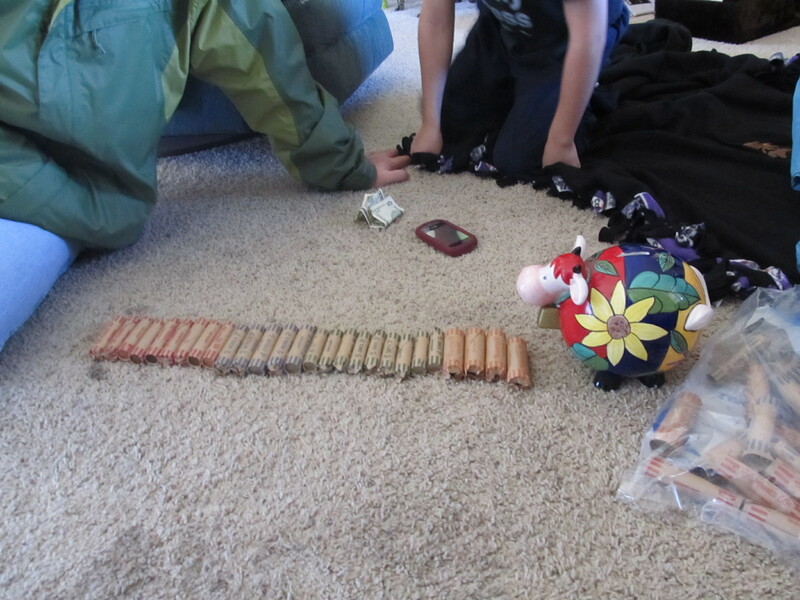 This year, we were astonished to count up almost 100 dollars in change, plus a 5 and a 1. That is a big enough donation to get our name on a plaque. We get a plaque!!!! Wait, it isn’t about the plaque- it’s about helping out the science museum. What do you do to change the feeling of greed for yourself? Or, do you just roll with it? This is what a hundred dollars in change looks like. I’m so glad you like this idea! Dropping the money into the kettles is probably a good way to go, too. I think it’s just really important that they see a chance to give, as well as get.